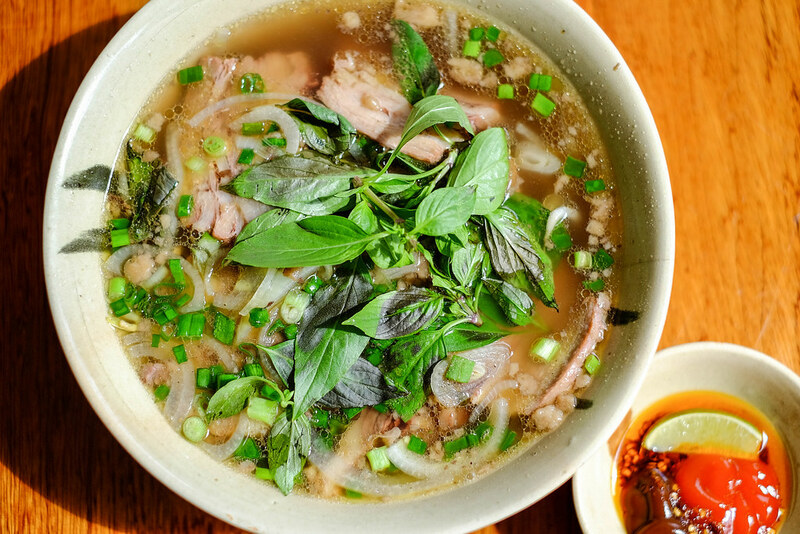 You are here: Home » Eat » 10 Places for Affordable Vietnamese Food – You Don’t Have to Fly to Hanoi! 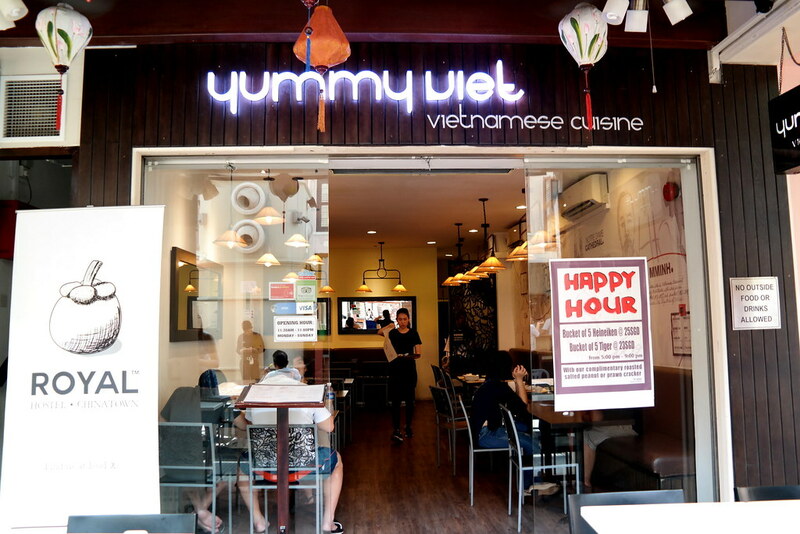 10 Places for Affordable Vietnamese Food – You Don’t Have to Fly to Hanoi! 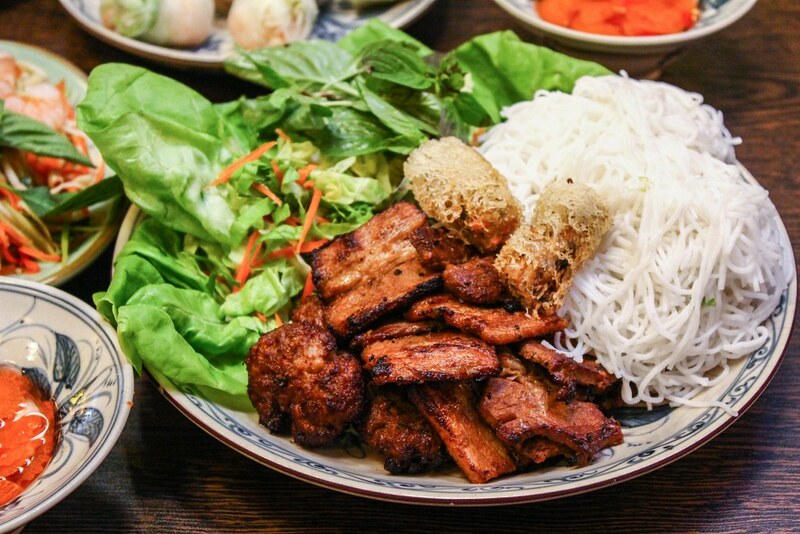 When someone mentions Vietnamese food, what’s the first dish that pops into your mind? Pho? Banh Mi? Spring rolls? 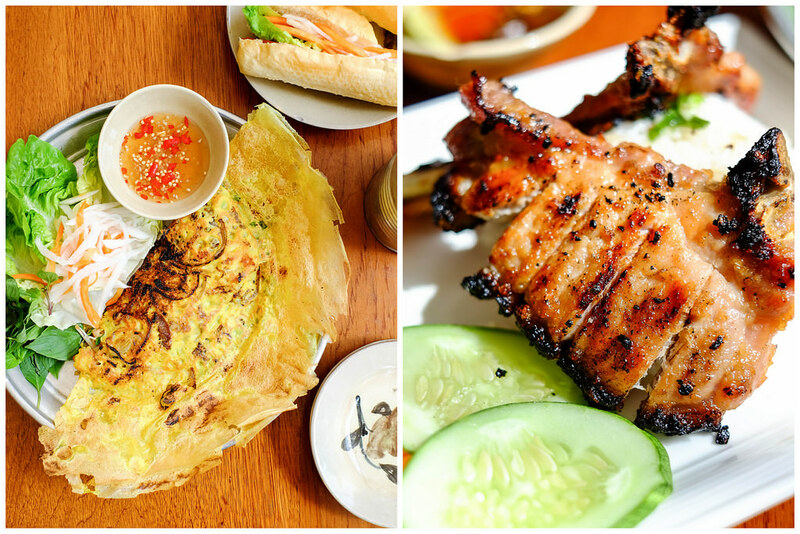 We’re pretty sure that there’s more to Vietnamese cuisine than these 3 common dishes. The Vietnamese use fresh ingredients, lots of herbs and vegetables, and keep dairy and oil products to a minimum in their food. Hence, it’s considered to be one of the healthiest cuisines in the world. 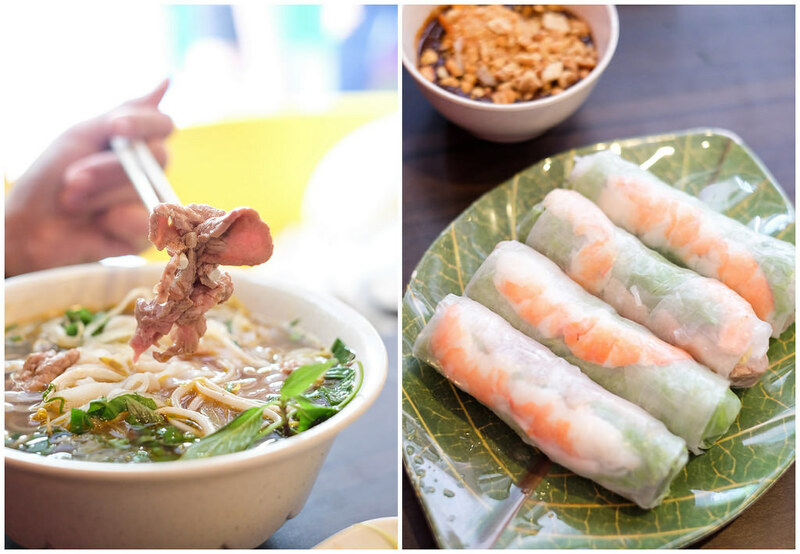 Here’s a piece of good news for you – there’s no need to spend on air tickets to Vietnam, as you’ll be able to enjoy delicious Vietnamese cuisine at these 10 places in Singapore. Do not let the facade of this restaurant fool you, for there is authentic Vietnamese food awaiting. 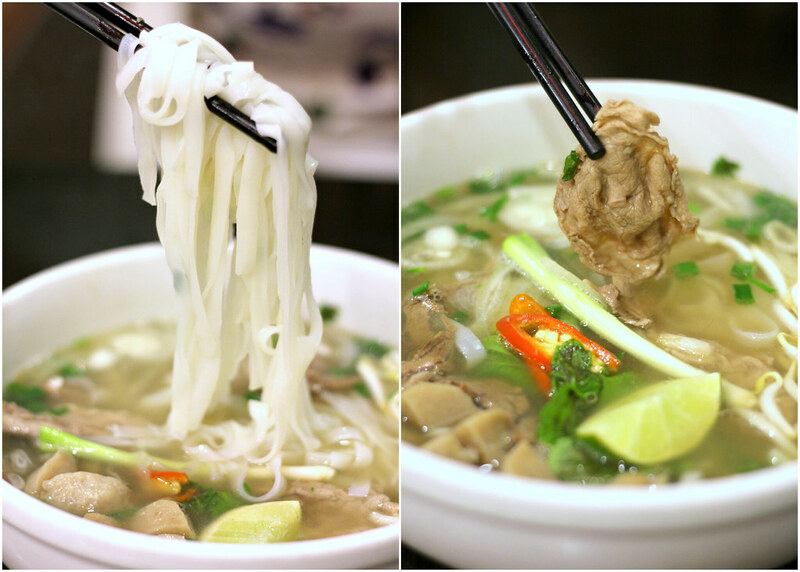 Pho Tai ($7) is served with generous beef steak slices cooked rare, alongside rice noodles in a flavourful broth. Goi Cuon ($7), Vietnamese spring roll, consists of fresh greens, shrimp, and pork rolled in rice paper. You can also have Goi Xoai ($7.50), more commonly known as green mango salad here. Opening Hours: 1pm to 2am daily. 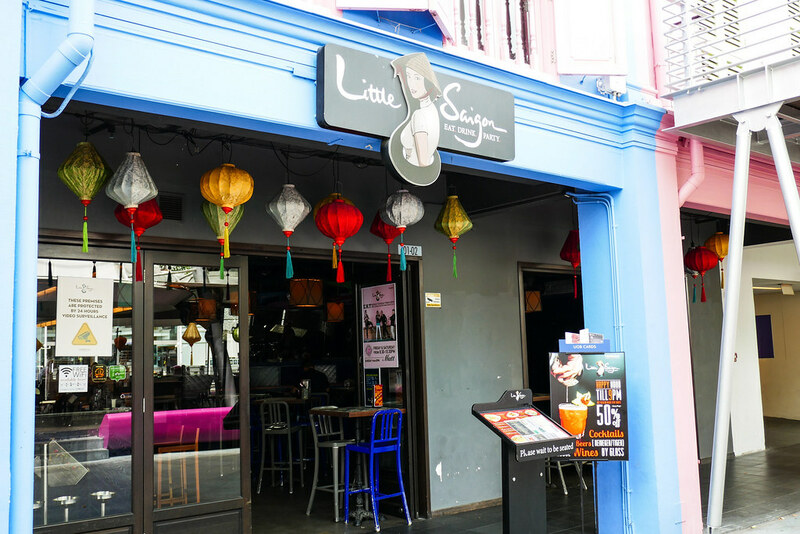 Located in a shophouse along Beach Road, the decor is just like any back alley in Vietnam. We began our dinner with a plate of Hanoi meat balls ($3.50) and Vermicelli with Pork and Spring Roll ($7.90). The pork is grilled and once we drizzle the tangy chilli sauce over the noodles, it immediately opens up our appetite. Our favorite is the Special Beef Combo Noodle Soup ($8.90), which comes loaded with slices of fatty brisket, and beef balls (freshly shipped from Vietnam weekly). Opening Hours: Mon-Sat 11am to 10pm. Closed on Sundays. Stepping into Saigon Alley brings one into a modernised yet rustic restaurant, with concrete walls filled with graffiti. A bite of the Lot Leaf Beef Roll ($10) fills our mouths with flavourful and juicy minced beef. The Spicy Australian Sliced Beef Noodles ($14) is one of the signature dishes. 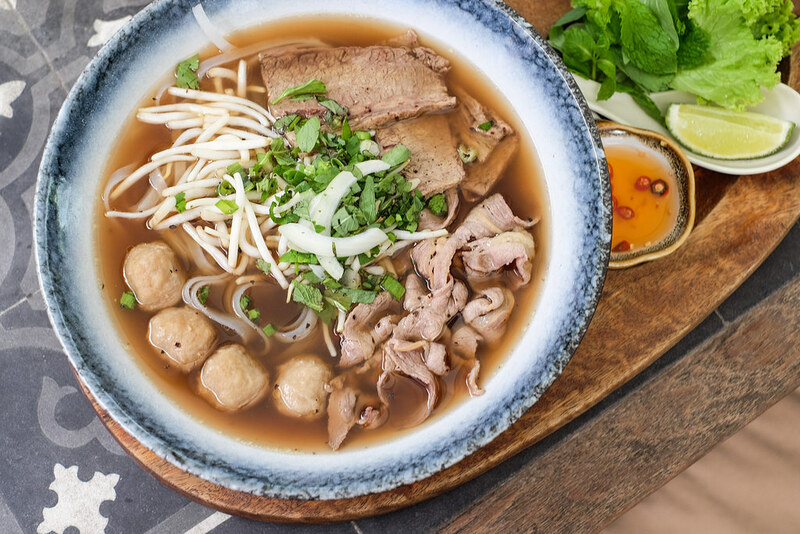 Hailing from the central city of Hue, the Sliced Beef Noodles showcases a broth made from beef bones and brisket that have been boiled for 8 hours. Opening Hours: Mon-Sat 12pm to 2.30pm (lunch) and 6pm to 11pm (dinner). Moc Quan’s Banh Xeo ($11.50), a rice-flour crepe gilded with turmeric and studded with shrimp, mushrooms, sliced pork and mung beans. The crepe is seared in a wok until it is crispy on the bottom but still airy on top. They offer 4 different beef choices ranging from Sliced beef ($11.50), Brisket ($12.50), Beef meat balls ($13.50) and a mixed variant ($14.90) for their Pho. 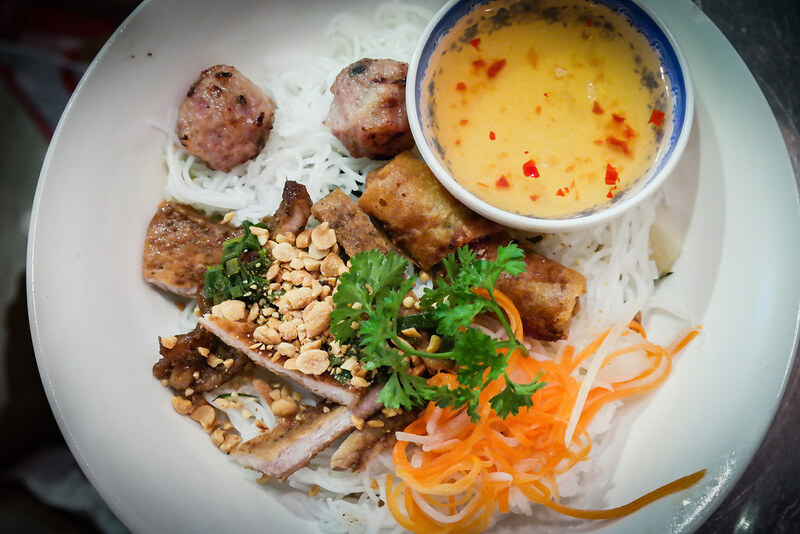 We also ordered their Com Tam ($11.90) that is served with BBQ marinated pork chop, steamed egg and homemade fish sauce. Opening Hours: Tue-Sun 10am to 9.30pm. Closed on Mondays. 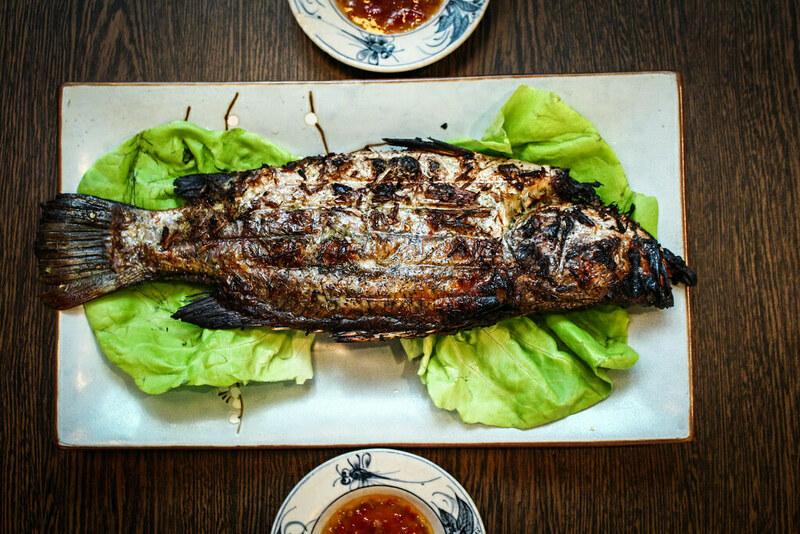 Serving classy interpretations of Saigonese cuisine, Little Saigon‘s menu is refreshingly unique, combining the authentic taste of Vietnamese favourites with both new and traditional party fare. The Beef Noodle Soup ($16) features slow cooked beef broth with beef collar beef brisket and beef meat balls. The rice noodles are smooth and easy to slurp down. 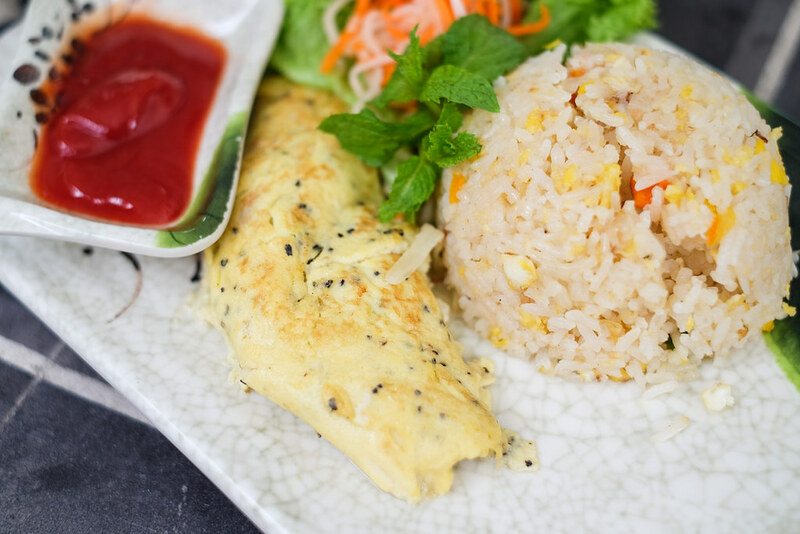 While parents are having huge bowls of Vietnamese Beef Pho, the kids can enjoy Sauteed Vegetables Omelette with Vietnamese Style Fried Rice ($16). Opening Hours: Sun-Thu 12noon to 1am. Fri, Sat & Eve of PH 3pm to 3am. 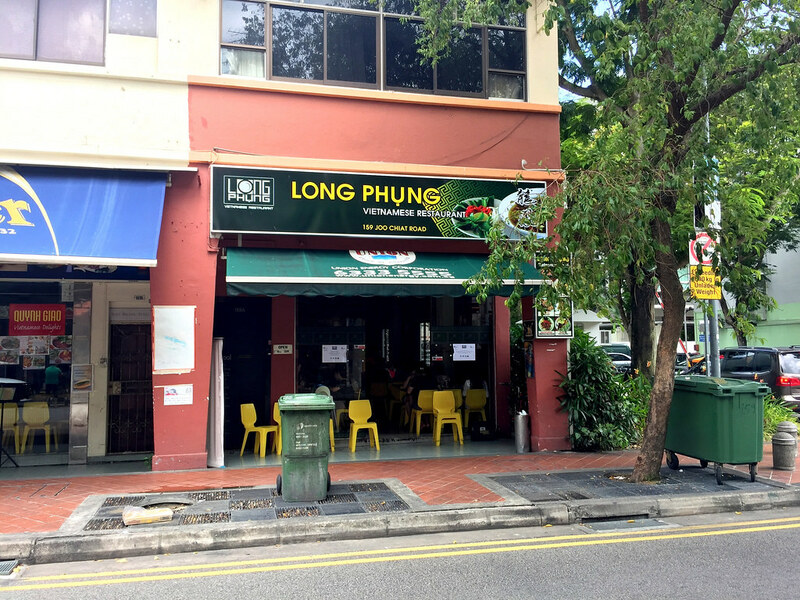 Làng Nuöng Việt Nam is the first traditional Vietnamese BBQ restaurant in Singapore. You get to experience first-hand, the famous “street-food” charcoal-barbeque that can only be found in Vietnam. The meat is marinated in a range of homemade Vietnamese sauces. 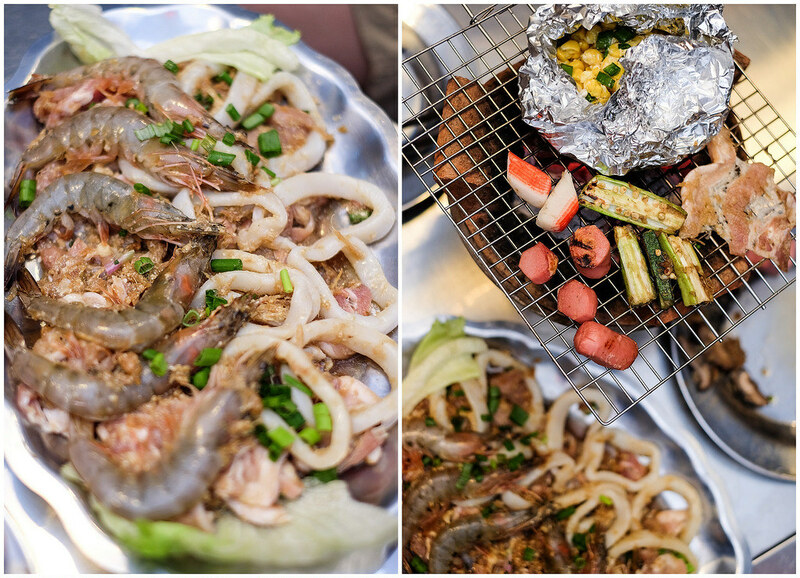 It’s different from Thai BBQ, as the marination is much more intense for Vietnamese BBQ. Opening Hours: 11.30am to 11pm daily. 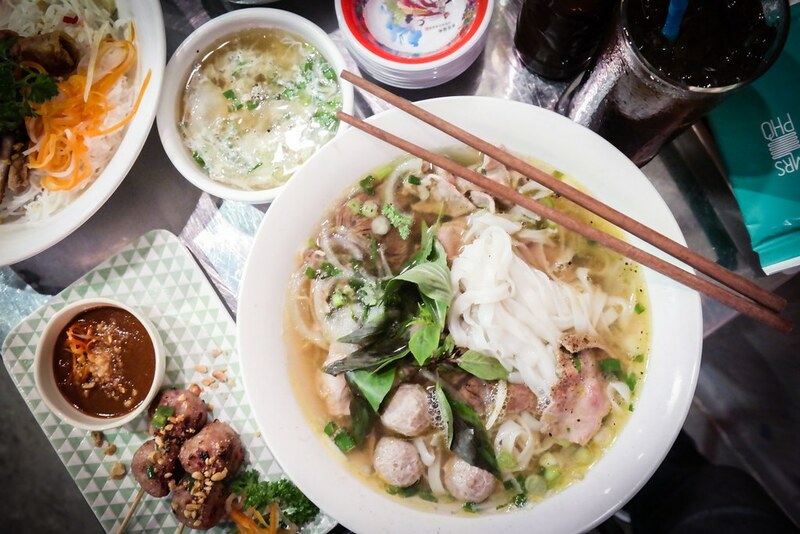 As its name suggests, Pho Stop specialises in ‘Pho’, a Vietnamese street noodle. 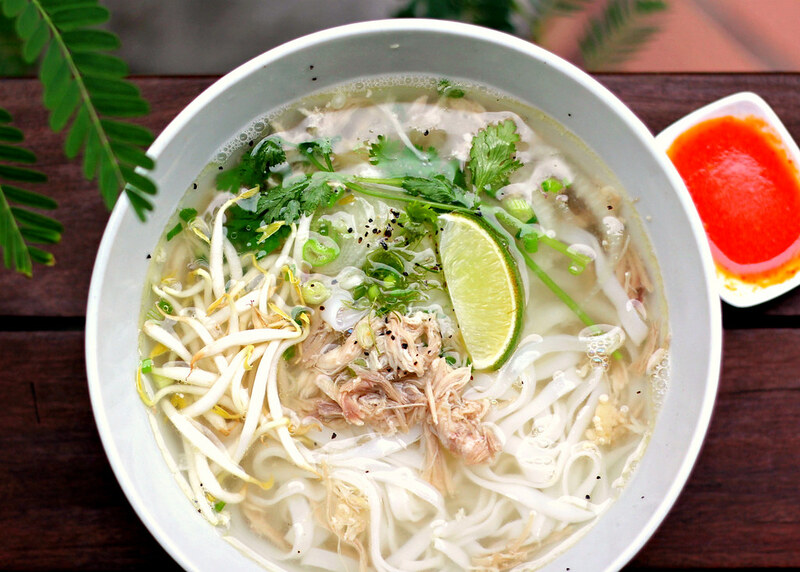 Their signature Hanoi Chicken ($10) consists of fresh rice noodles served in a bowl of chicken broth. It is served with shredded chicken, fresh beansprouts, sliced onions, scallions, coriander, and thai basil. We had high expectations due to the eatery being famous for its Pho, but the broth was a tad too bland. Thankfully, the tangy yet fiery chilli made up for it. Opening Hours: Mon-Sat 11.30am to 9.30pm. Closed on Sundays. 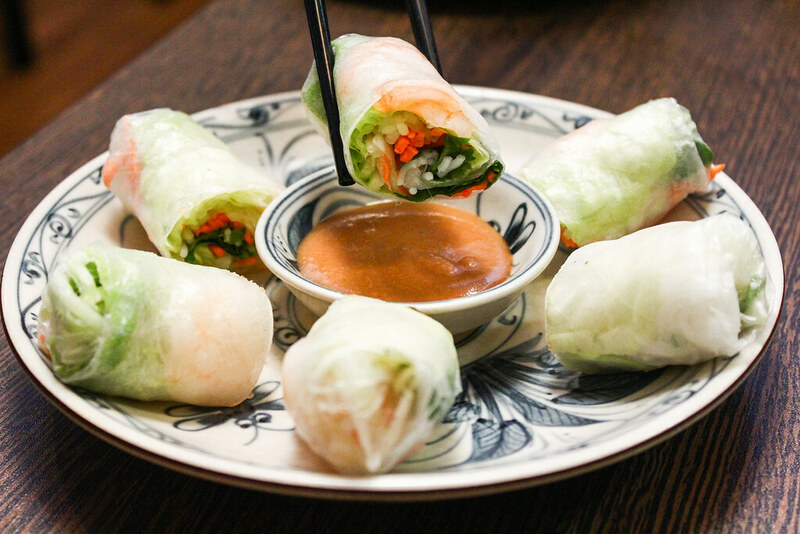 BBQ Sugar Cane Shrimp Rolls ($5.90 for 2 pcs) are a classic Vietnamese appetizer. 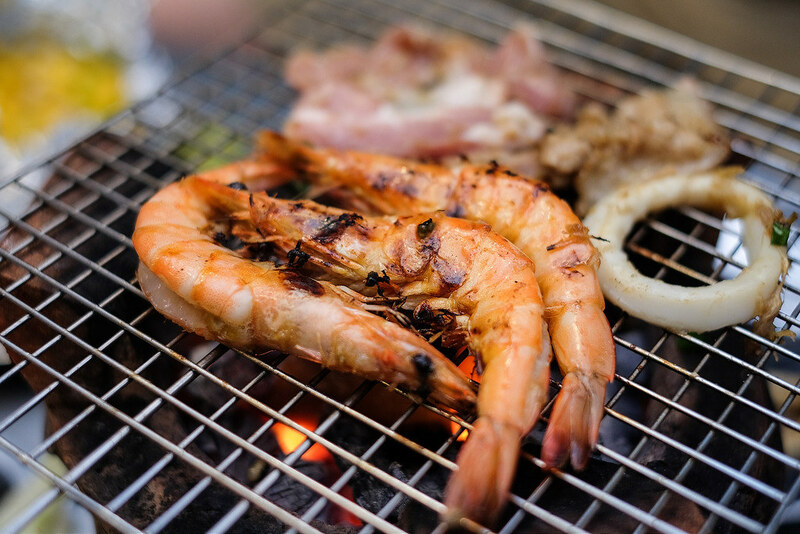 A garlicky shrimp paste is wrapped around a stick of sugarcane, then briefly steamed and grilled. 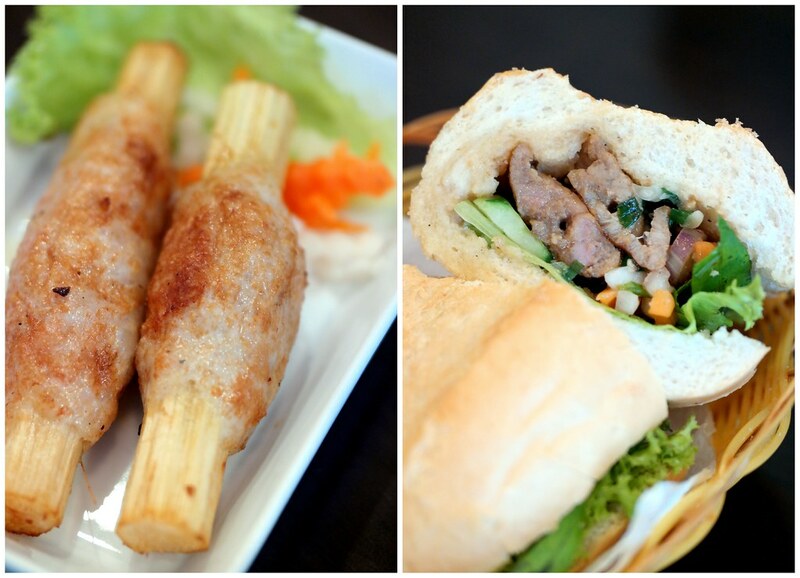 An interesting dish in the menu is Grilled Pork Baguette ($5.90). Baguettes, still warm from the oven, are filled with slightly sweet cubes of BBQ pork slices, peanut sauce, peanut, pickle veggies, cucumber and coriander. Helming the kitchen is Chef Hung who hails from Ho Chi Minh City. 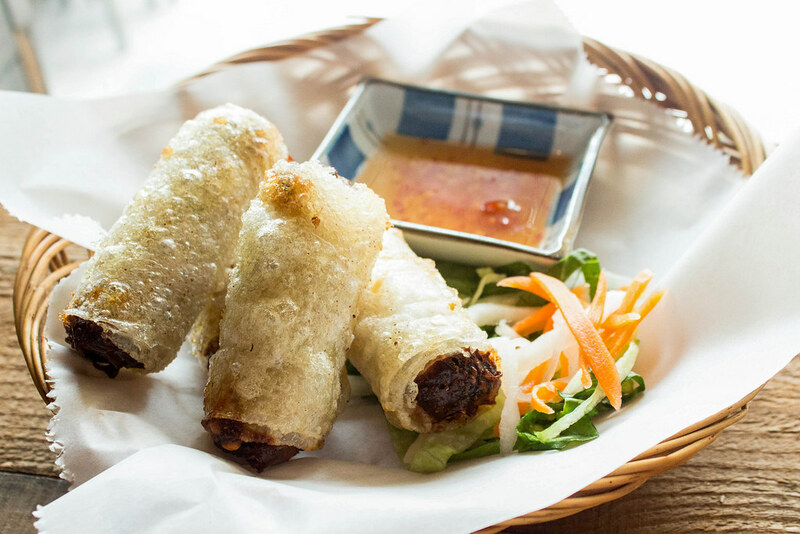 Expect an extensive menu which features popular Vietnamese specialities from the Southern region of Vietnam. The Special Beef Noodle Soup ($10.90) is light and not too greasy. However, if you aren’t a fan of anything with a minty taste or a strong coriander fragrance, this is definitely not for you. The portion of sliced beef, beef balls, and beef tendons are quite generous though. Opening Hours: 11.30am to 10pm daily. Tonkin is the northernmost region of Vietnam, which is rich in rice production. 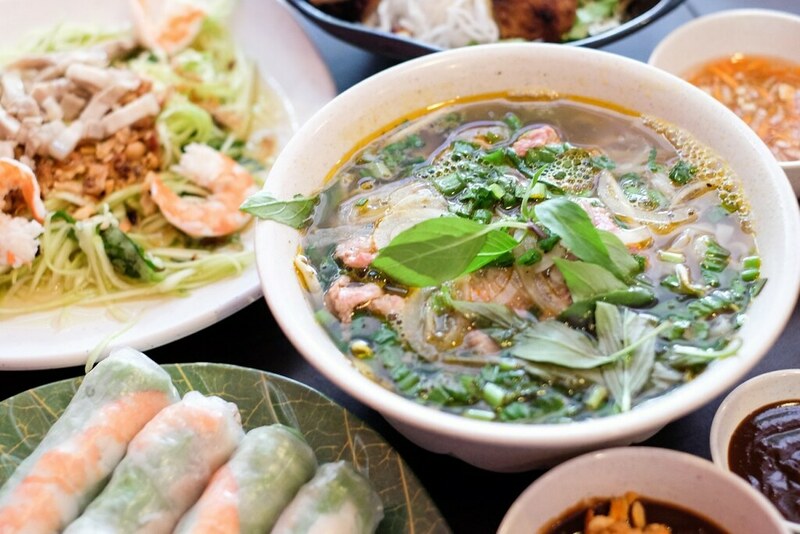 At Tonkin Vietnamese Cuisine, you would not only be served Vietnamese rice dishes, but also a range of tasty authentic northern Vietnamese food. 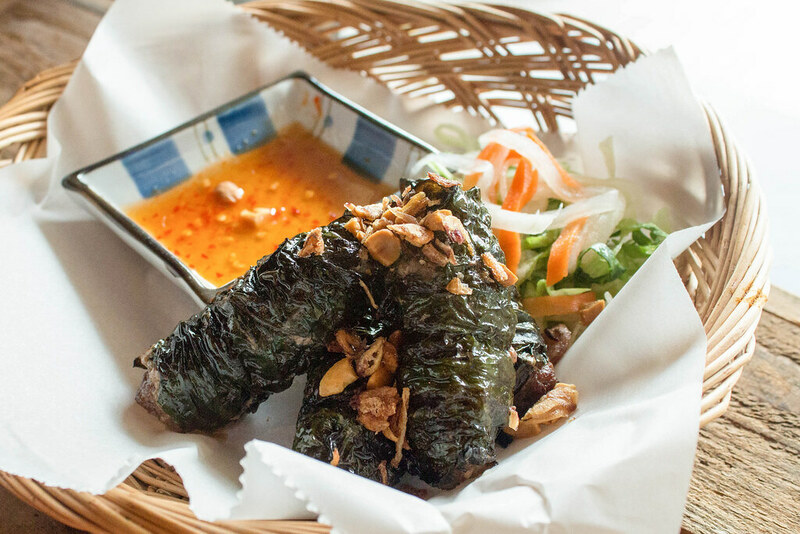 Unlike the food from southern Vietnam where coconut milk is often used, northern Vietnamese cuisine is lighter and has more balanced flavours. Opening Hours: Mon-Sat 11am to 9.30pm. Closed on Sundays & PHs. 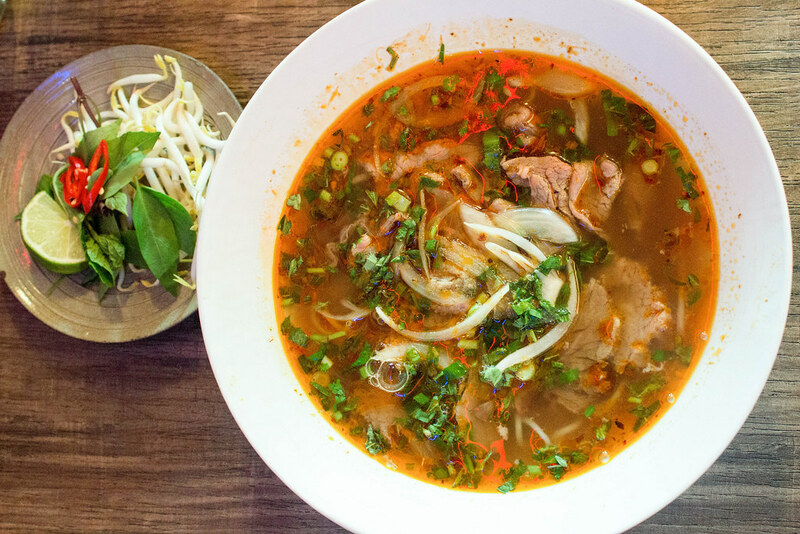 If you’re trying to move towards a healthier diet, you might want to consider having Vietnamese food! Let’s build a food community that helps to update the food news in Singapore! Simply comment below if there’s any changes or additional info to the stalls listed above. We will verify and update from our side. Thanks in advance!